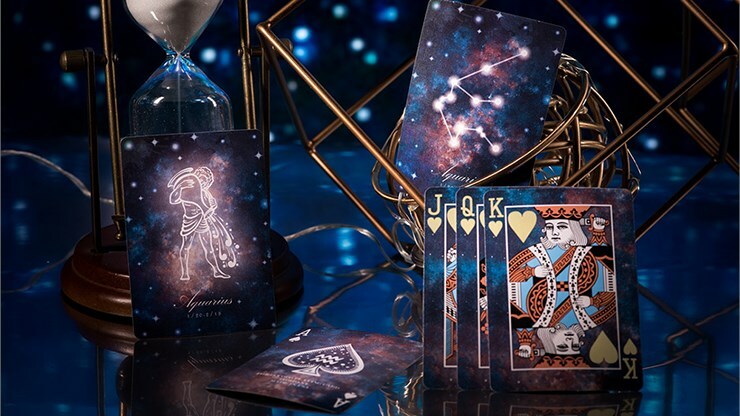 If you've ever admired the beauty of the stars, you'll want to pick up a set of Constellation Playing Cards. 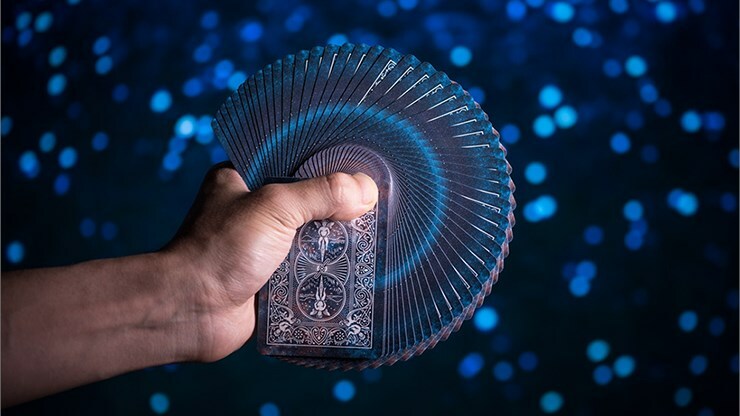 These decks are based on the zodiac signs and are hand designed and drawn. 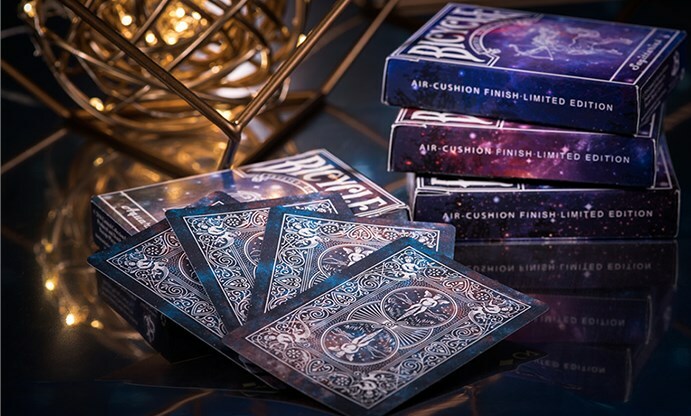 Printed by the USPCC, each deck contains 56 custom cards printed on the classic Air-Cushion Finish. 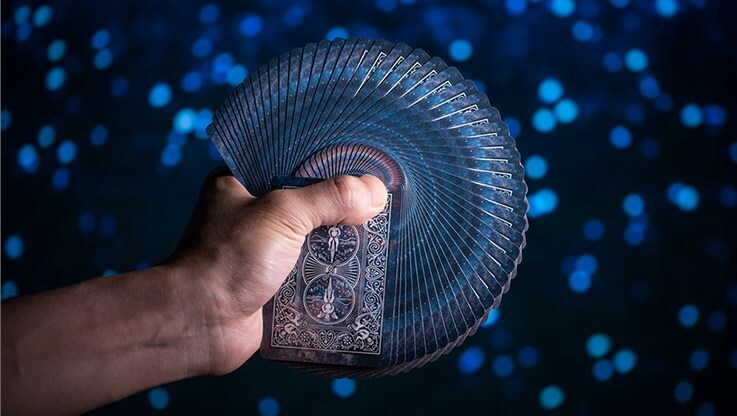 The stunning and majestic backs are printed such that you can fan them four ways for four unique fan effects. 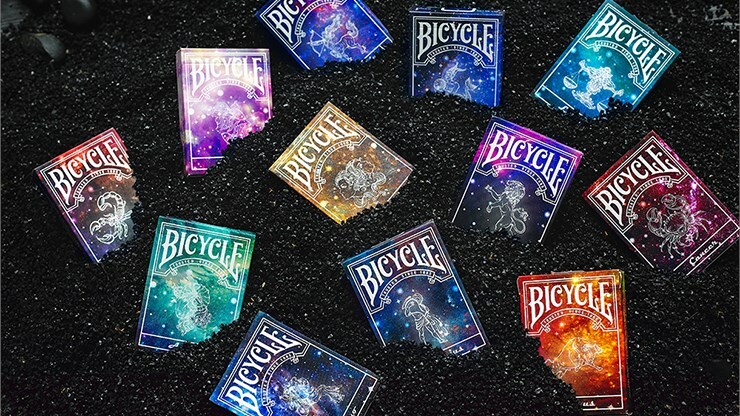 Each deck features custom-colored court cards to complement the backs as well as custom Jokers and Aces. 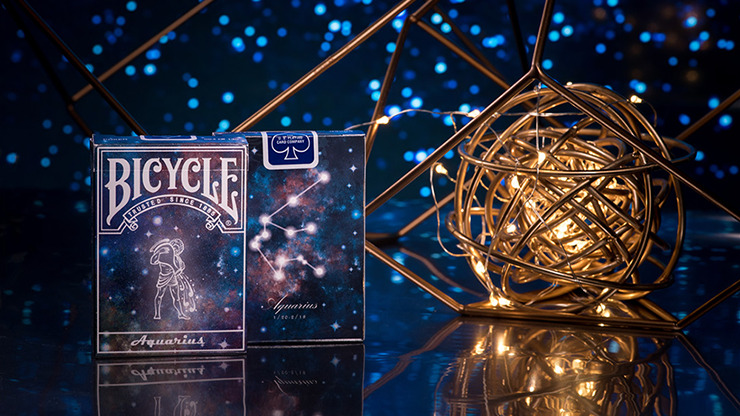 Whether for your collection or card table, you'll enjoy this stellar set of playing cards. Order yours today!